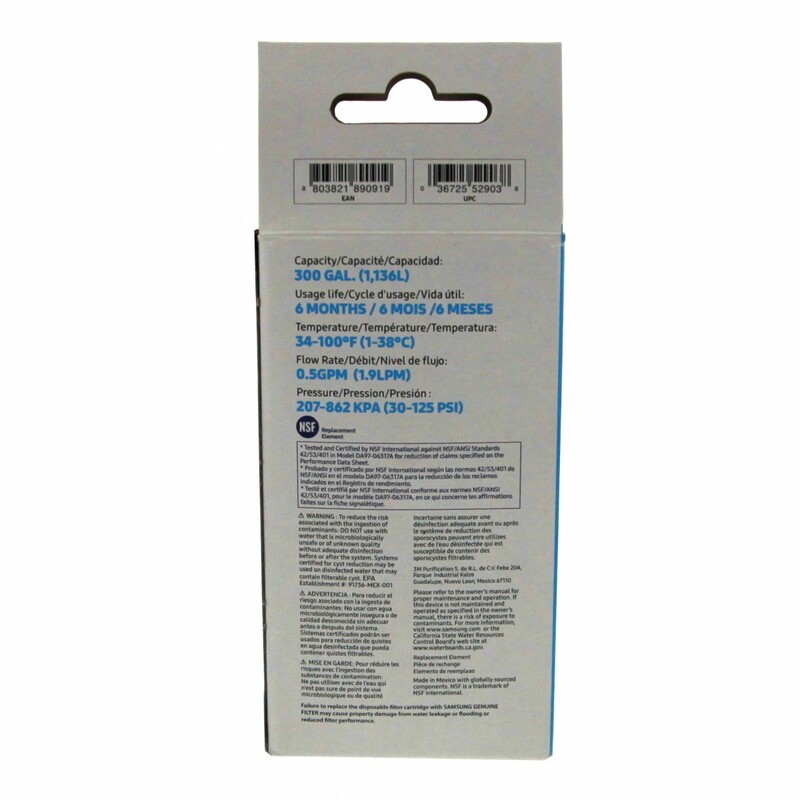 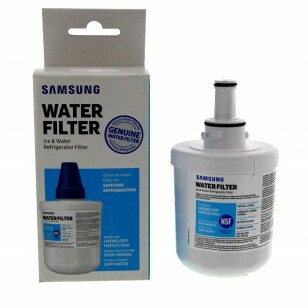 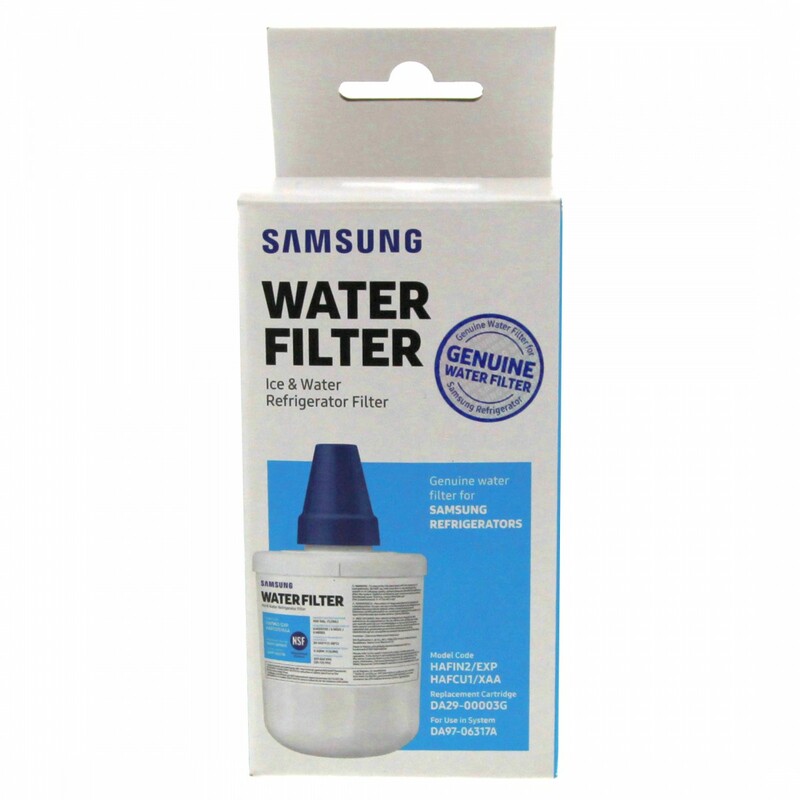 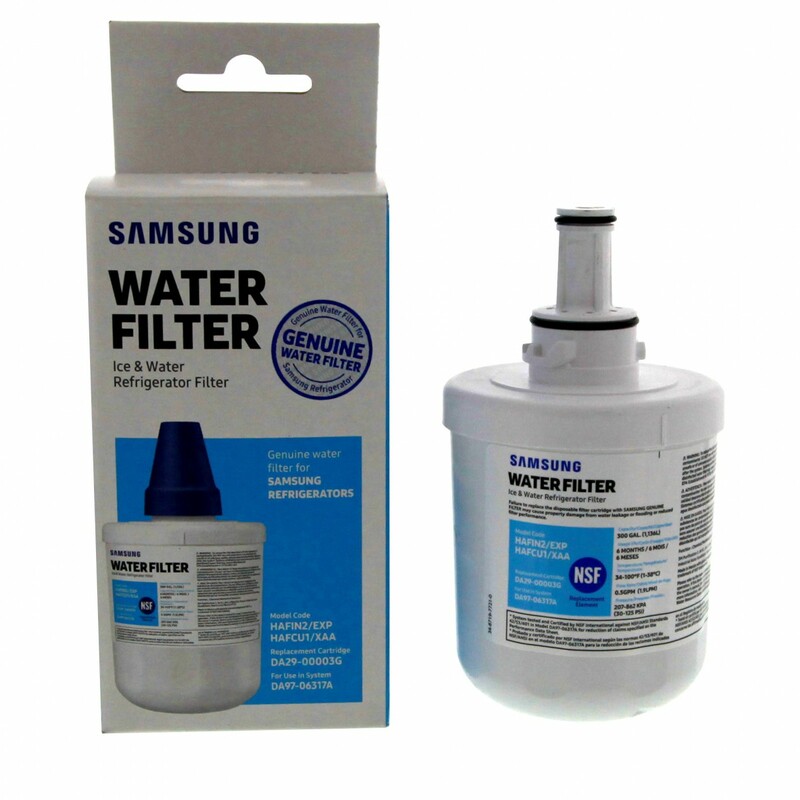 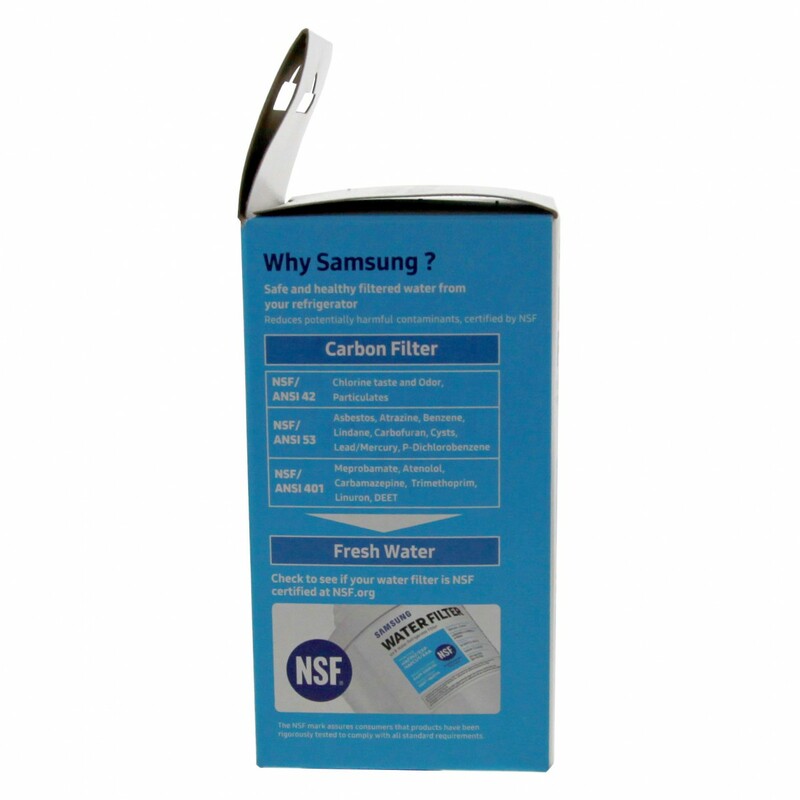 For up to six months after a painless installation, the Samsung DA29-00003G refrigerator water filter will go to work, reducing potentially harmful contaminants and impurities. 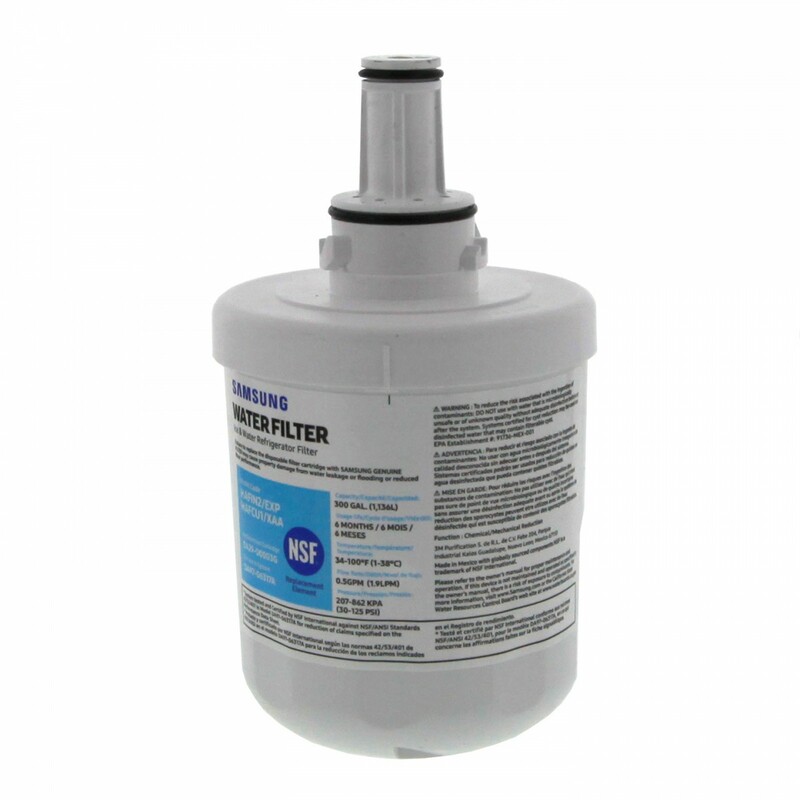 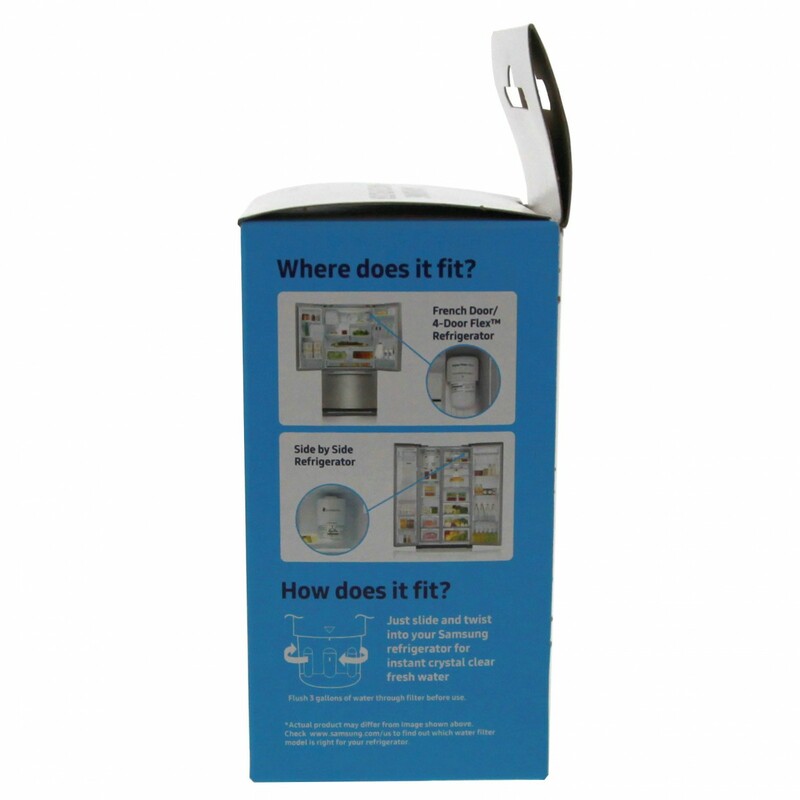 By reducing up to 99% lead, mercury, asbestos, turbidity and more, this genuine OE part will significantly improve the flavor and clarity of your water and ice, plus the coffee, cocktails and beverages that you mix up! 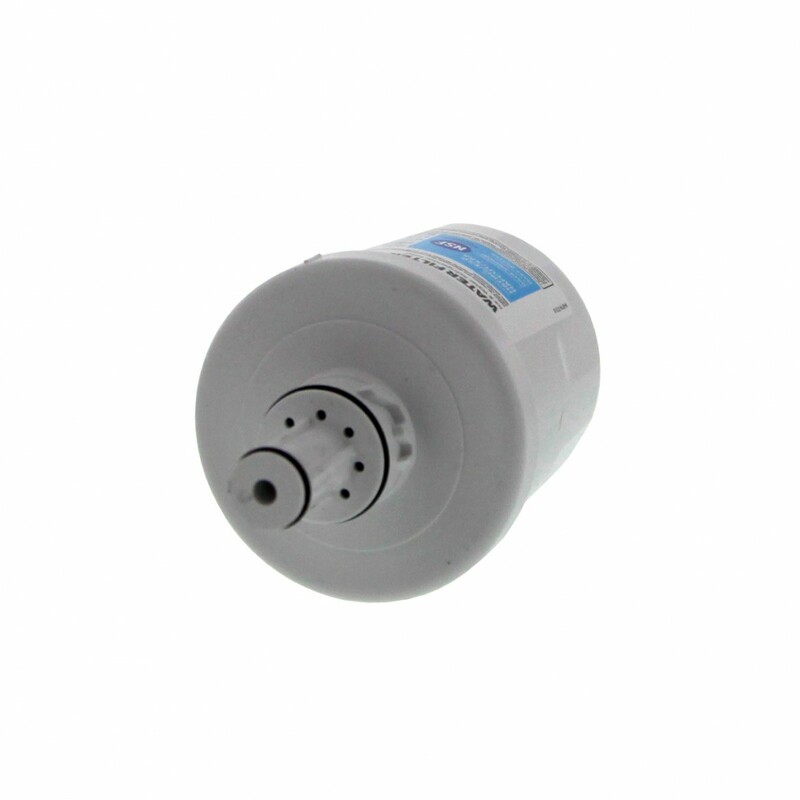 Keeps water tasting crisp and clean for up to six months!